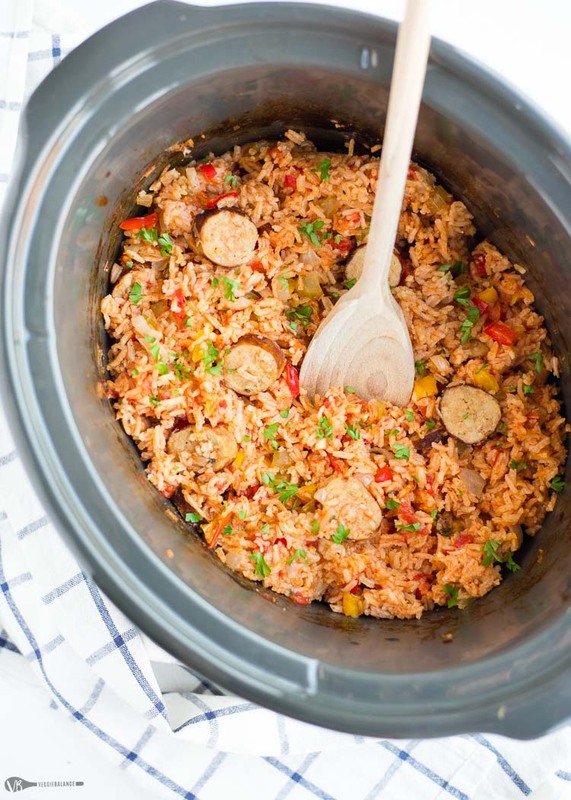 Slow Cooker Jambalaya that is Vegan, essentially hands-free and packed with so much flavor it’s in permanent dinner rotation in our household. We’ve made several versions of jambalaya over the years. 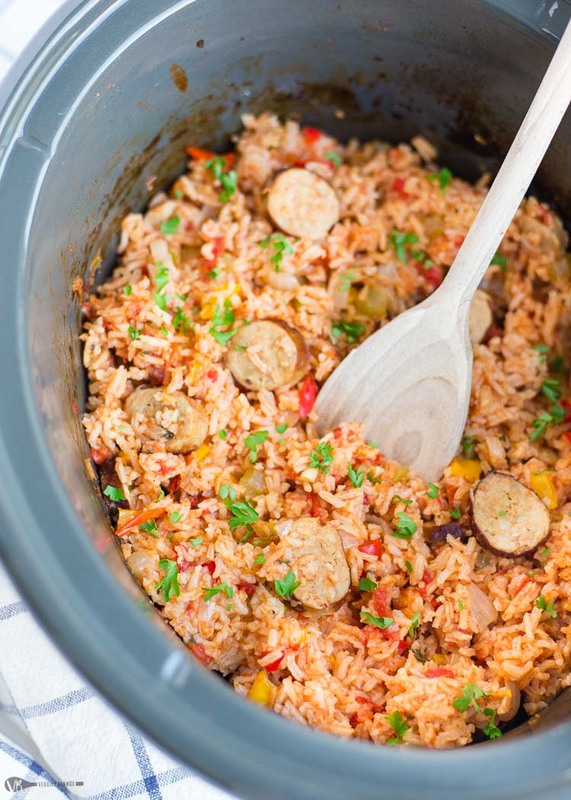 But this slow cooker jambalaya is the absolute best. As you all know, I am a fan of simple culinary concoctions resulting in as few dishes to clean as possible. This is perhaps why slow cooker jambalaya and I are such good friends. Throw it in the pot and let the delicious flavors do all the work. I’ve struggled for years to find a sausage that is vegetarian and ALSO gluten-free. Thank goodness over the years it seems someone has been listening to us because since we’ve moved I found one! 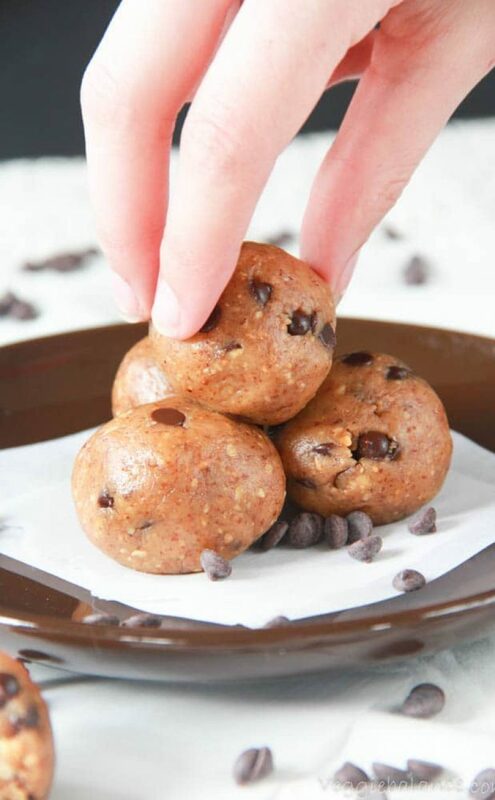 Gluten-free vegan dreams really do come true. 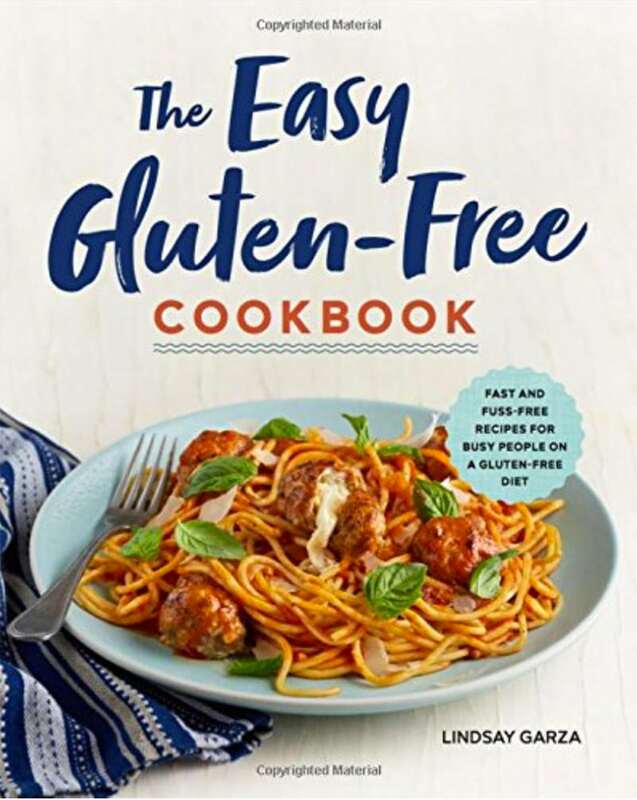 I know we’ve got quite a few vegetarians who aren’t Celiac – and fortunately for you finding vegan/vegetarian sausages is much easier. 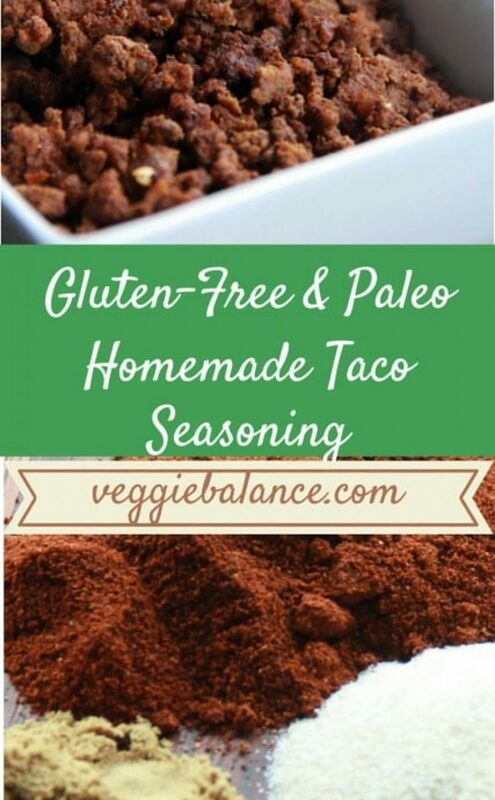 I feel confident making recipes with vegetarian/vegan substitutes now that I can try it myself. 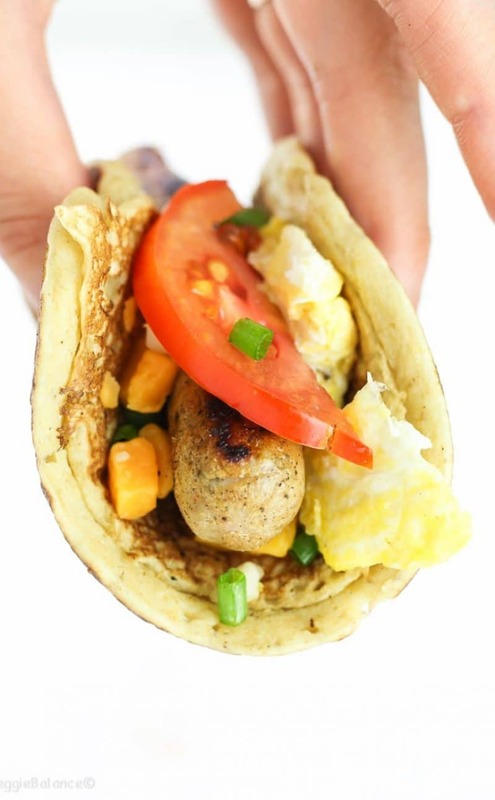 Tell us in the comments below all about your favorite meat-free sausage!! So here it goes, easy peasy. How do we Make our Jambalaya Vegan/Vegetarian?? 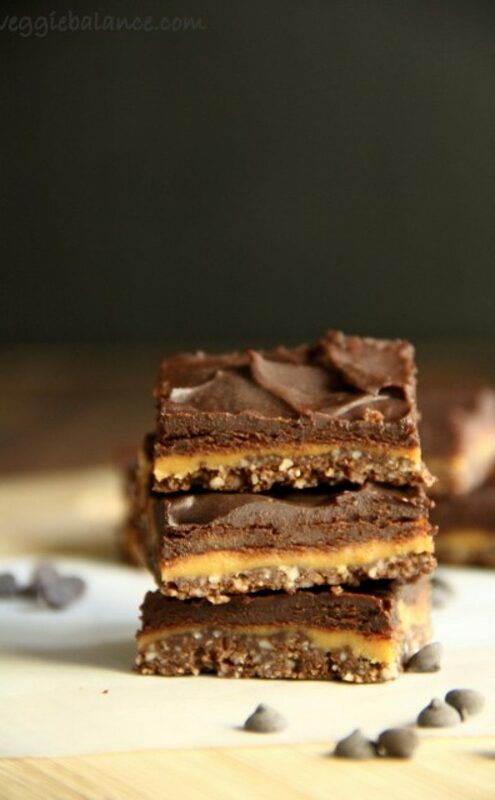 This part is SO easy, just like this recipe. 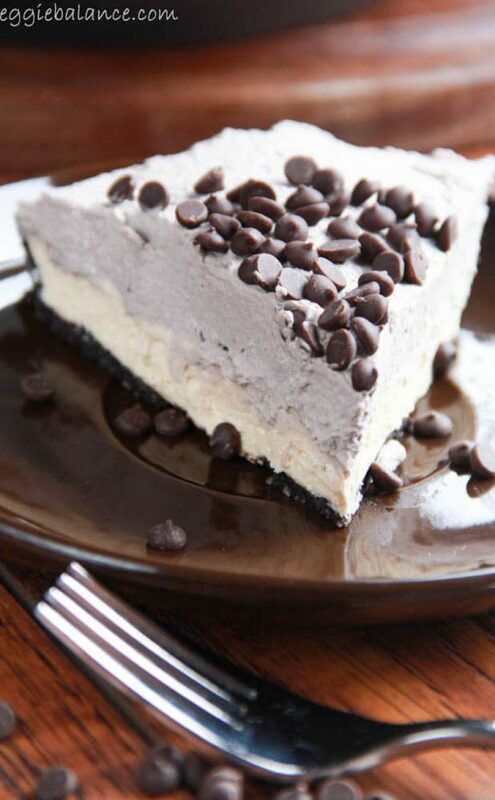 The base, flavors and ingredients all are vegetarian. Include your favorite vegan/vegetarian sausage and voila! We’ve got vegetarian jambalaya … This makes me (and I suspect many others) pretty gosh darn happy. This makes a TON of jambalaya and there are leftovers for days. For those on a budget, this jambalaya is a dinner in itself. We paired it with a light lemon kale salad for some extra veggies. 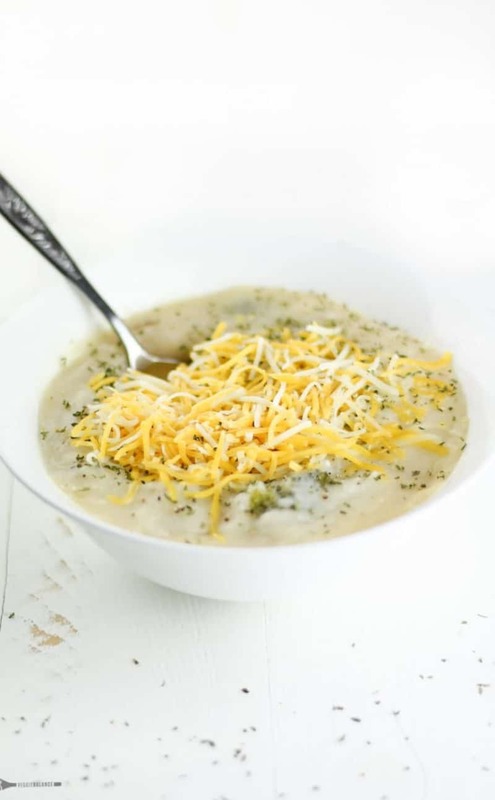 Now if you don’t follow a vegetarian diet or this isn’t for a meatless Monday dinner, simply swap the vegetarian/vegan versions with your favorite sausage and chicken stock instead of the vegetable broth. Everything else can be followed to a ‘T’. 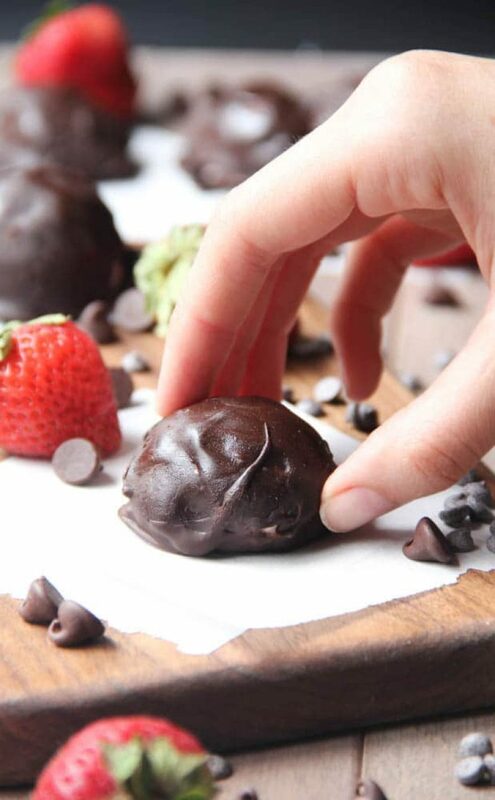 We’ve made it both ways in our household – and both ways are delicious. Truthfully, I could hardly tell the difference. 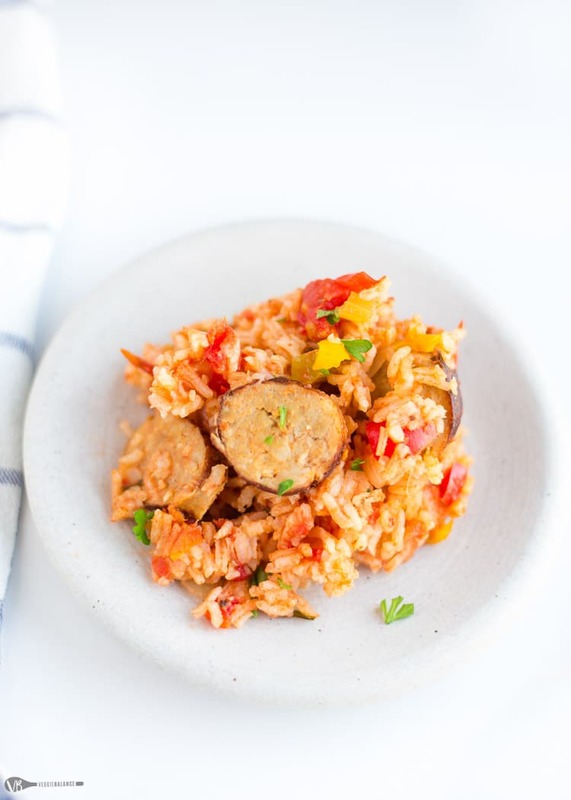 Another option if you have a meat-eater in the house is to simply follow the instructions and then divide the jambalaya in half after cooking, stir in meat and meat-free sausage into separated dishes and you’ve got meat-free and meat dinner options! 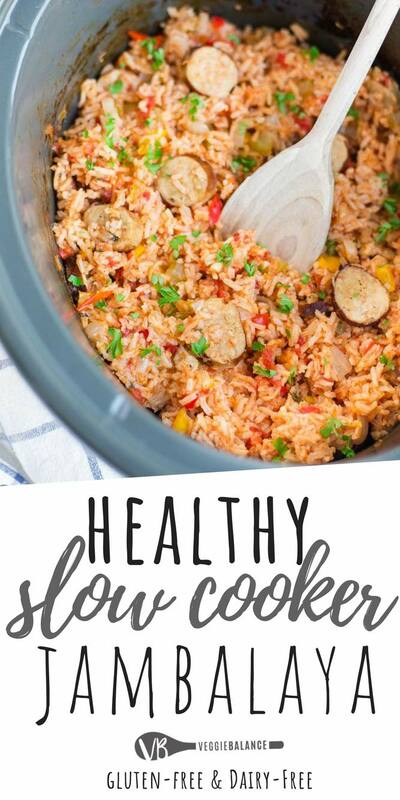 Slow Cooker Jambalaya that is Vegan, essentially hands-free and packed with so much flavor that we make it constantly in our household. Add celery, onion, garlic, bell peppers, sausage, oregano, thyme, paprika, cayenne pepper, black pepper, diced tomatoes, parsley, and vegetable broth into large slow cooker. Stir together. Place lid onto the slow cooker and cook on high for 3-4 hours. You want the liquid to be extremely hot and boiling. Stir uncooked rice into pot. Cover with lid and continue to cook on high for another 20-25 minutes. You may have to quickly fluff at the 20 minute and continue cooking another 5 minutes until the rice has absorbed most of the liquid. Serve hot with additional fresh chopped parsley on top. Enjoy! Not sure what I’m doing wrong. This is the 3rd time I’ve tried. When I add the rice, it just doesnt get done! I do it while the dish is still hot, I put it on high… it takes more like an hour. How do I fix this? When you are adding the rice you want to make sure you keep the lid off for the littlest amount of time possible. Trap and keep that steam and moisture in there. 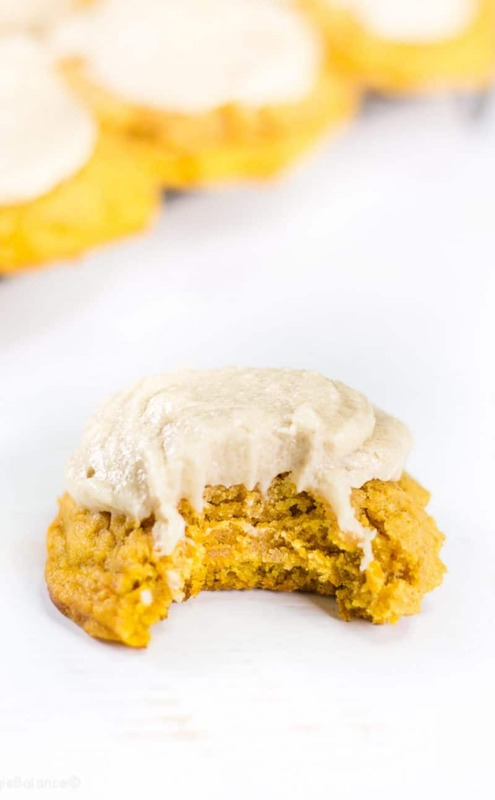 You may need to cook it a bit longer depending on your slow cooker cooker (it’s like an oven, times can vary) but I suspect there isn’t enough moisture being kept in the cooker and therefore is going to take longer to cook as well. What I do. Have the rice measured out, lift the lid a bit just enough to get my spoon and rice in there, quickly pour into cooker, stir once or twice and cover immediately.